A hoarder is a person who hoard things, this is a disorder that is brought on from different reason. A lost of a love one, very low self esteem, betrayal, lost of employment, health issues, and the list goes on and on. This is a serious problem for hoarders. because they are truly buried alive in their homes. To most this way of living has become a safe zone to them, they don't see it as being hazardous to their health, and also to their family. Some people become hoarders due to pure laziness, you may know someone that fits the category, you know the ones that have 10 and 20 loads of dirty clothes thrown all over the house, and instead of washing them, they rather just go out and buy new clothing. Or the ones that always cooking, but too let the dishes and pots and pans just pile up because they don't want to clean the kitchen or take the garbage out, they go out to the fast food restaurant and wherever they eat is where they leave their trash, but when they go out in public they're decked out. 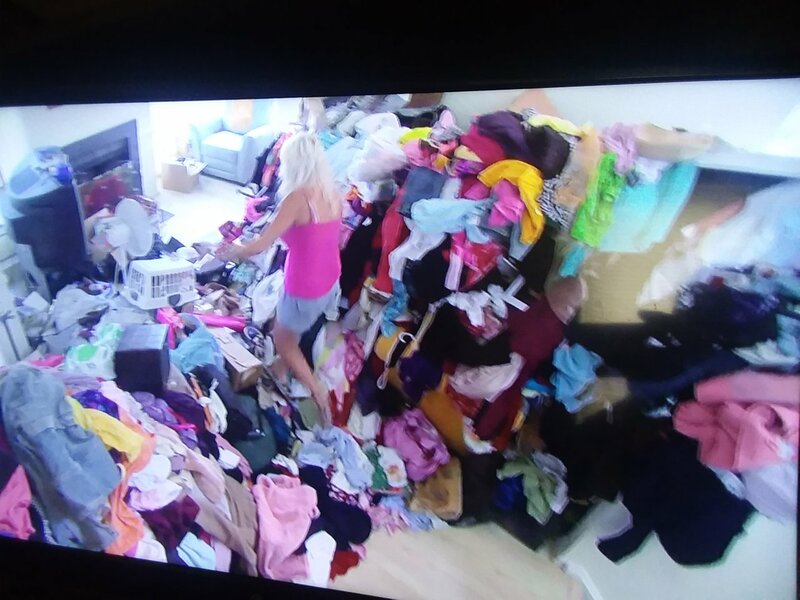 I don't really call those individuals hoarders, just nasty M---F---. I shed a lot of tears while watching some of the shows on television, looking into the lives of some and seeing beyond the depths of their pain that cause them to surrender into that situation and some was really afraid in making changes for the better because they were afraid of letting go. We will never truly understand the magnitude of pain or the what a hoarder is dealing with within themselves, since a lot of them are not open to discuss their situation, they tend to be embarrassed for getting to that point, and most do want help, but it just take time to get out of a funk that you may have been in for years. If you just clean up after yourself, and make your bed up every morning, it will make a big difference.